Help Documents - Version 5 Add QuestionsHow do I set up a Waiver question? 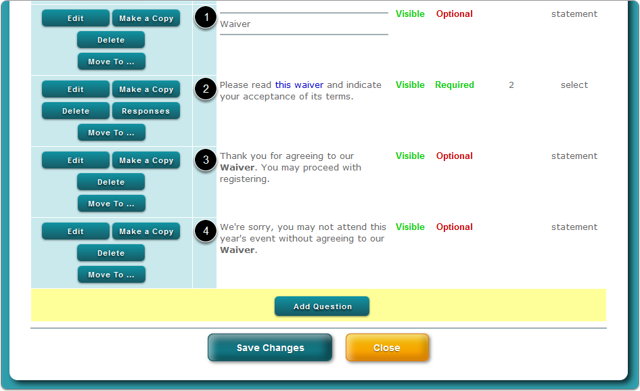 If you need to have your registrants agree to some type of waiver prior to registering, then you can use the procedure below to set up a Waiver question. What does this question look like on the registration page? This is the Waiver Question BEFORE a selection has been made by the registrant. 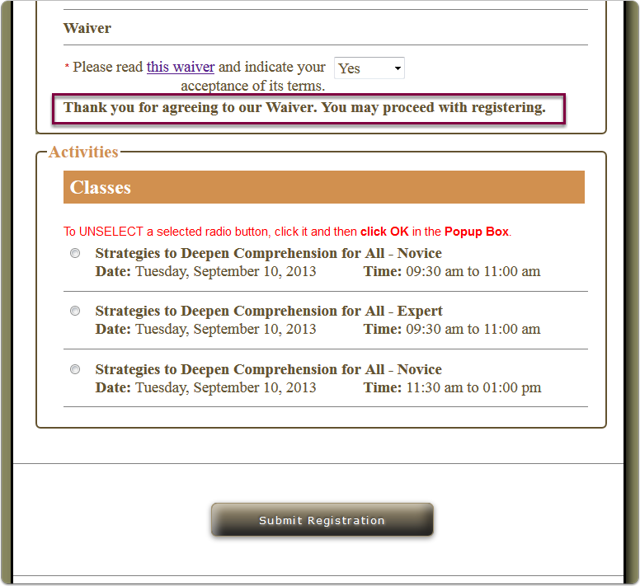 If the registrant does NOT agree to the Waiver (they choose No from the dropdown), a conditional question is used to inform them that they may not register for the event. If you want to prevent this non-qualifying registrant from registering, install a "kill switch" for the No response. How? See this article: How do I install a "kill switch" to prevent an unqualified registrant from registering? If the registrant does agree to the Waiver (they choose Yes from the dropdown), a Conditional Question is used to inform them that they may continue registering. How do I set up Conditional Questions? In addition, a Conditional Sessions Rule was used to make the Classes section visible ONLY if they answer Yes. How do I set up Conditional Sessions/Sales Items? 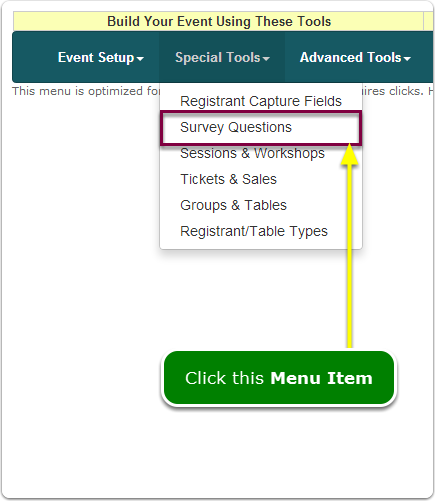 This article describes how to Add Questions: How do I add questions to my registration page? 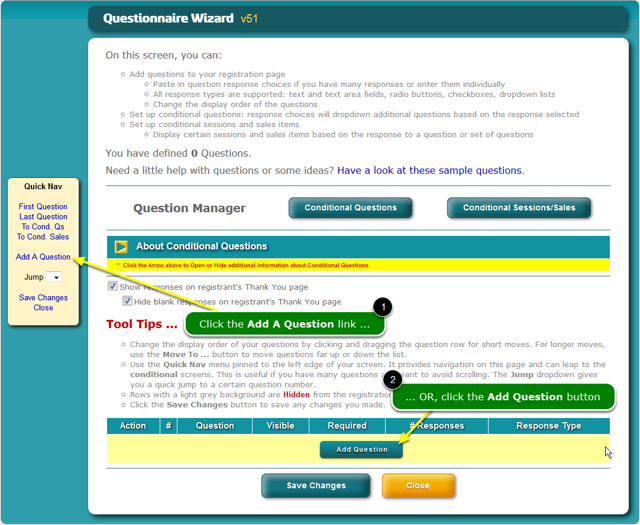 This article describes how to Add Conditional Questions: How do I set up Conditional Questions? This article describes how to Add Conditional Sessions and Sales Items: How do I set up Conditional Sessions/Sales Items? Prev: How do I set up Conditional Sessions/Sales Items? Next: How do I install a "kill switch" to prevent an unqualified registrant from registering?